Securing funding for a Charrette planning exercise by Planning Assist Scotland which resulted in a new community vision entitled “Shaping Laurencekirk”. This has provided the Trust with a sound base for future development plans and a current survey across the community has already attracted over 300 participants ( see online at https://sarahleigh.typeform.com/to/xPTqEH). 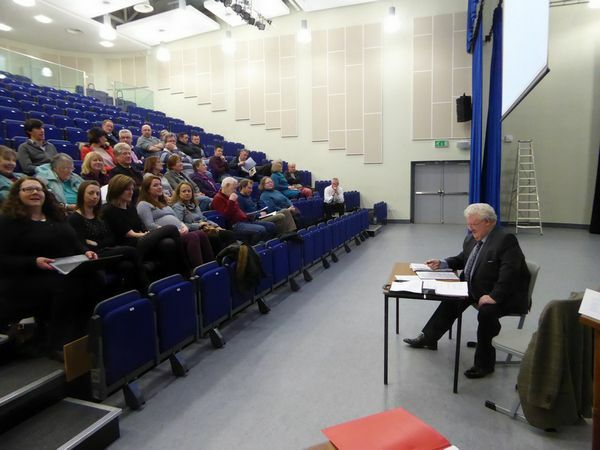 Studies have been made into the options for the development of the old community centre and the St Laurence Hall, both of which Aberdeenshire Council intend disposing of. A project to create a safe access foot/cycle path to link residents with the Garvock hill, a favourite walk and view point, currently separated from the town by the A90 dual carriageway. Continued success for laurencekirkab30.co.uk the community website and Lynn Moir, who gives her time to run and maintain the site. Annual financial report demonstrating the challenges of funding community groups. Most importantly for the future the appointment of four new directors to the Trust, Natalie Lucey, Tero Luoma, Doug Shaw and Alastair Donald, all of whom bring very valuable skills to the organisation.This maintains a full board and provides added business management acumen.